Reeling from a worsening fiscal situation owing to decreased donor funding, the Palestinian Authority is set for a much-needed boost after the United States unblocked almost $500 million in aid. On the heels of President Barack Obama’s trip to the Middle East, which included stops in Israel and the West Bank, the U.S. State Department announced the move to unblock about $295.7 million in aid frozen last year due to congressional in-fighting. The U.S. government will also release $200 million taken from this year’s economic support funding. 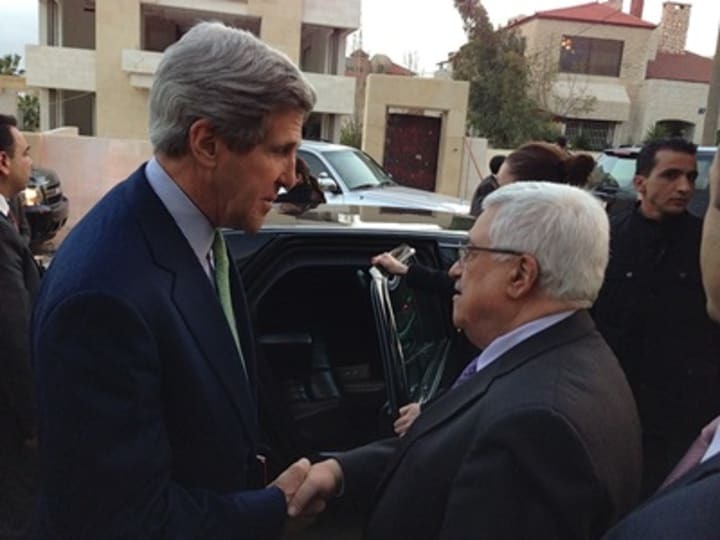 $200 million for direct budget support to the Palestinian Authority. $195.7 million for development and humanitarian assistance programs implemented by the U.S. Agency for International Development. $100 million for narcotics control and law enforcement. Congress has also been notified of another $200 million in aid that the State Department hopes to unfreeze, said spokeswomen Victoria Nuland. Unfreezing aid to the Palestinian Authority has been at the top of State Secretary John Kerry’s priorities since taking office. The aid is a welcome boost at a time when the Palestinian economy is expected to face budget deficits, according to a recent World Bank report. The bank expects the economic slump will remain in the year ahead, with foreign aid to the public sector not expected to rise sufficiently to balance its revenues and expenditure. The U.S. Congress froze aid to the Palestinian Authority in response to its request for full membership of the U.N. in 2011. In December 2011, Congress passed new requirements for providing aid to the Palestinian Authority. U.S. law states the Palestinian Authority, should it ask for full U.N. membership, is prohibited from obtaining economic support funding. But the legislation also provides a national security interest waiver authority. This was case in 2012, for example, when Obama signed a presidential waiver, triggering the unfreezing of some $192 million in aid to the Palestinian Authority. Congressional holds on aid to the Palestinian Authority could derail projects on the ground. In January, USAID had considered closing six projects between March and May 2013 if the holds continued. In December 2012, USAID sent out termination notices to 17 partner staff working on a health program in the Palestinian territories implemented by Chemonics International. Since the 1990s, the U.S. has provided about $4 billion in bilateral assistance to the Palestinian Authority, according to Congress’ research arm.